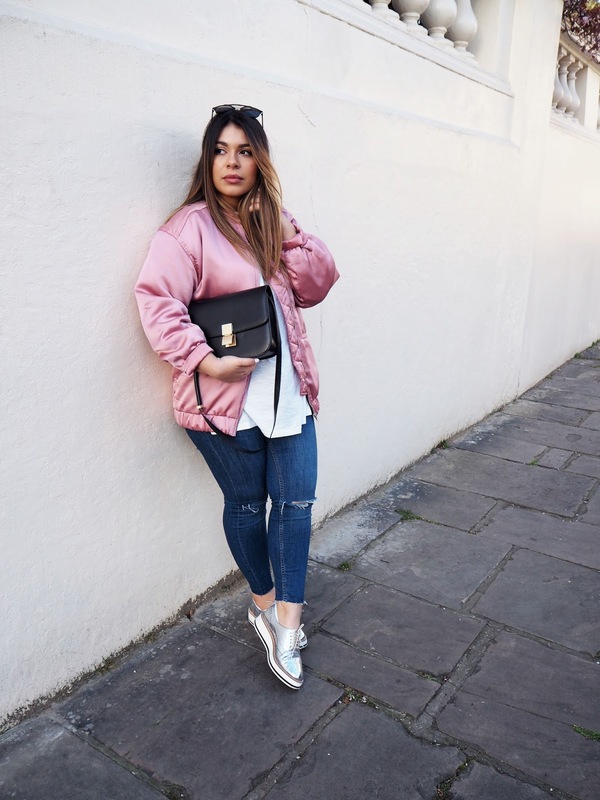 You're probably surprised at the amount of colour I'm wearing in this post, believe me I am too. 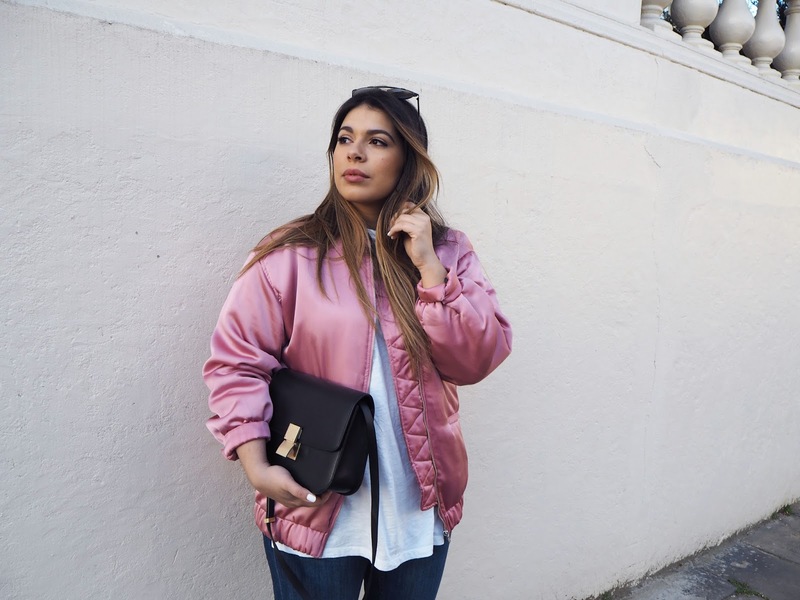 I never thought I would fall in love with a light pink bomber jacket. 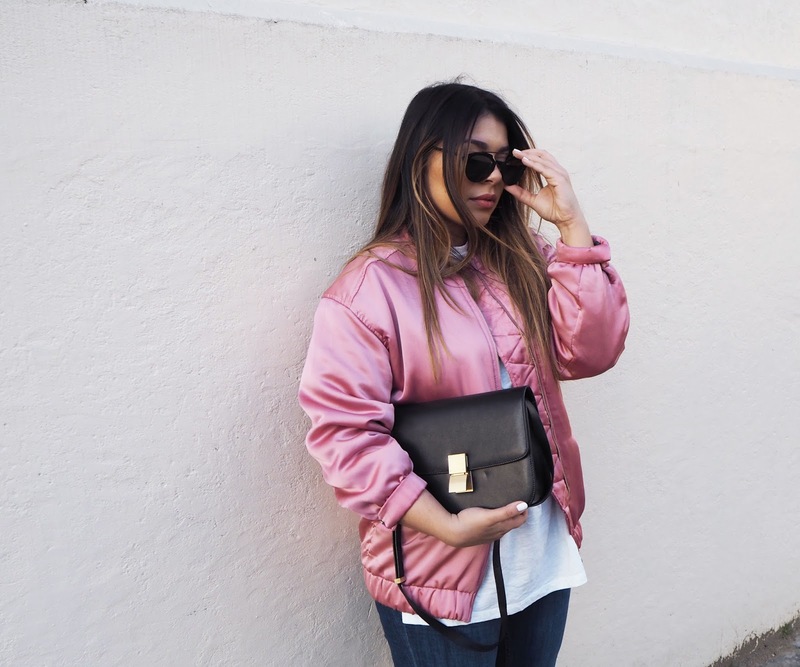 I feel like one of the pink ladies from Grease every time I wear it! Unfortunately it sold out really fast but I will try and link some alternatives below. We took these pictures around Regents Park which I recently discovered that you can actually see into the London Zoo from the park!